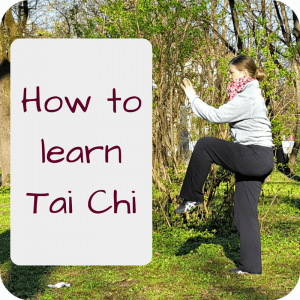 What you need to know if you search for "Tai Chi near me"
Let me tell you: I think it is really great that you search for “Tai Chi near me”. I remember when I searched for my first Tai Chi classes near me in 2004. And I remember that I found the results to be very confusing. Yes, those are the most common spellings of this Chinese martial art. It’s a big mess! Some even write T’ai Chi Ch’üan! Thus it’s not enough to type “Tai Chi near me”, unfortunatley. But once you’ve entered all of the words in Google or any other search engine, you hopefully will find a number of teachers near you. Now have a look at those Tai Chi websites you’ve found. And I must warn you, it is quite hard to judge a Tai Chi instructor based on their website. Because obviously a Chinese martial artists who is great at this art, might lack some marketing and Internet skills. And vice versa. Not all things that shine are golden! Thus I really recommend that you go to a trial class. Once you’ve found Tai Chi classes near you, call and schedule a date when you can come for a (free) trial Tai Chi lesson. Because really, it is so important that you feel comfortable with that person. And until you go and learn some Tai Chi exercises from that specific teacher, you will not know whether you want to continue learning from her or him. And of course you can visit Tai Chi for beginners classes with different teachers! Some years ago, when I moved from one city to another, I went to many trial classes. I wrote about my trial class experiences and what I think should be the minimum standard for Tai Chi classes. A trial class gives you a a better feeling of what to expect. And usually they are for free. Now you might wonder: why not learn Tai Chi online? And even though I am currently participating in a great Qi Gong online program, I would not recommend it to a beginner. Especially when learning Tai Chi, you need a teacher to correct your posture. Because the Tai Chi movements are martial arts moves and it is important that someone tests you and shows you the applications. Thus I do like learning Tai Chi or Qi Gong online, but I simply use it to spice up my daily routine. I still learn with a teacher in my town! Another common question among beginners is: which Tai Chi style should I start with? (If you don’t know yet: there are different styles in Taijiquan. The most common are Chen style and Yang style). My two cents on this is: just start with one teacher. Start with the person you like the most and where you feel like you can learn the most. And have a look at my criteria, how I choose my teachers. And just know that you can change your style anytime. For me, I’ve been with Yang style for over 12 years now, but I’ve went to Chen style workshops and learnt other Tai Chi forms, e.g. the very popular 24 form. Thus just start with a teacher you like. To learn Tai Chi is (for most people) a life-long journey. It’s important that you start somewhere, but you simply don’t know where it will lead you over the years. Antoher aspect, that I think is important as a beginner: find a teacher who is close to you with a class at a convenient time for you. At least in the beginning, when the habit of going to class is not established yet. Because we all know: sometimes it’s hard to go to a lesson. And the shorter your way is and the more convenient the time is, the more likely is it that you’ll go! And you can only reap all the benefits if you go regularly. Finally, there’s one more point I’d like to make. I know that Tai Chi moves, the terminology, and the surroundings can be strange in the beginning. All this talking about “forms” and “Qi” and “Dantian” etc. seems odd and foreign. There might be some Yin Yang signs or martial arts quotes hanging on the wall. But if you do feel comfortable with the teacher, give it a try! You will get used to it! So overall, I would love to motivate you to go to a trial class. Just search for “Tai Chi near me” and all the other terms. And then go, meet the teacher and the other students! I wish you all the best on your journey. And if you have any questions, search on my blog (e.g. 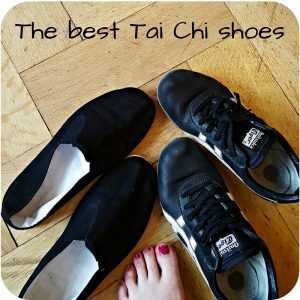 what is Tai Chi or what are the health benefits or how to choose the best Tai Chi shoes). Or feel free to send me a message or even comment below! P.S. : Once you go to a Tai Chi class, you will hear many Chinese words and terms! 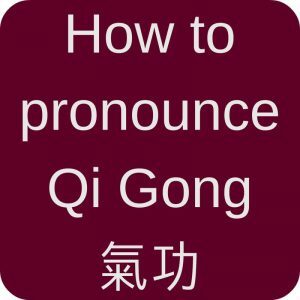 If you want to learn more about them, check out The Taijiquan & Qi Gong Dictionary! 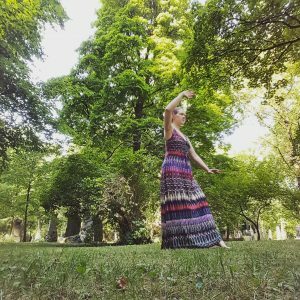 This entry was posted in Thoughts and tagged learn, Qi Gong for beginners, Tai Chi for beginners on 2017-06 by Angelika Fritz.